When purchasing a brand new vehicle, we always recommend requesting that the dealership leave the factory plastics intact. (It is equally as important to request that no one wash the vehicle before delivery.) We will remove the factory plastics. 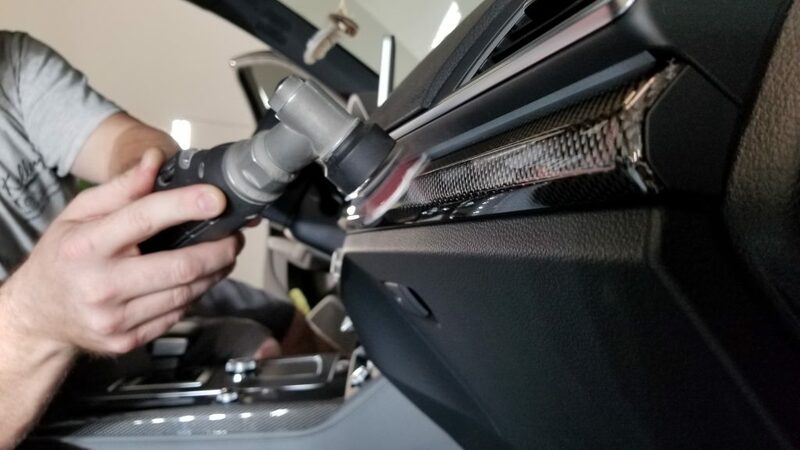 This will help reduce the amount of damage to the paint that is often caused by a dealership’s improper wash procedures. 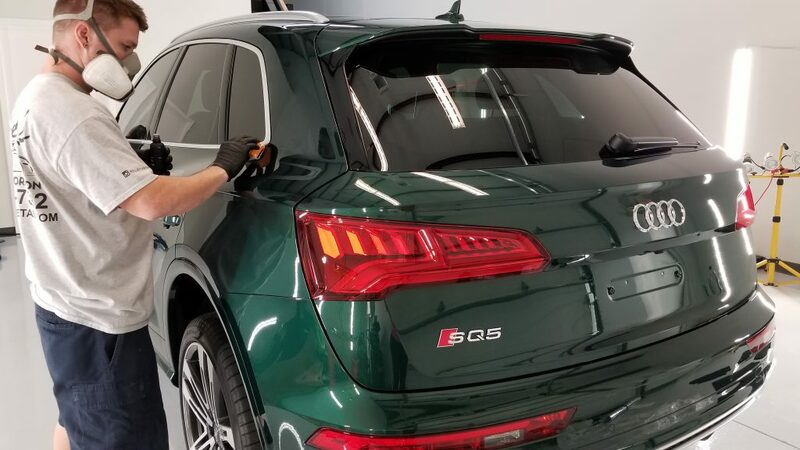 Less marring and swirls in the paint means less aggressive paint correction will be needed. 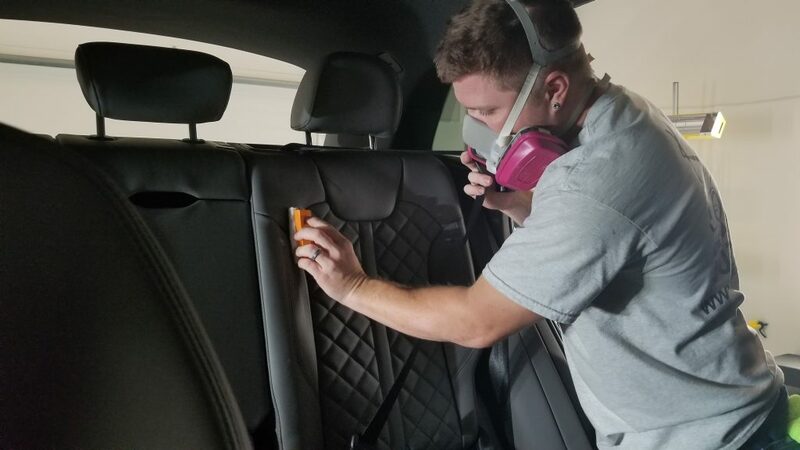 This will help reserve the amount of clear coat on your vehicle. 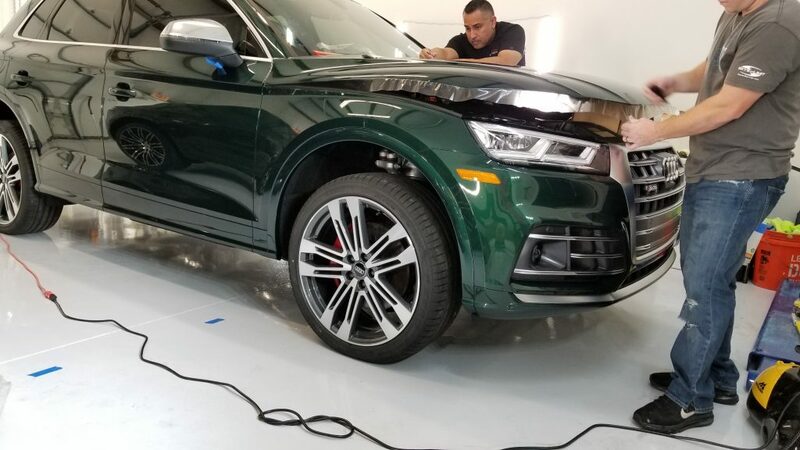 Since we had two full body PPF wrap services in the studio, we reached out to a talented fellow installer and friend, Jay, with Jay’s Detail Studio to help us get the jobs done in a timely manner. 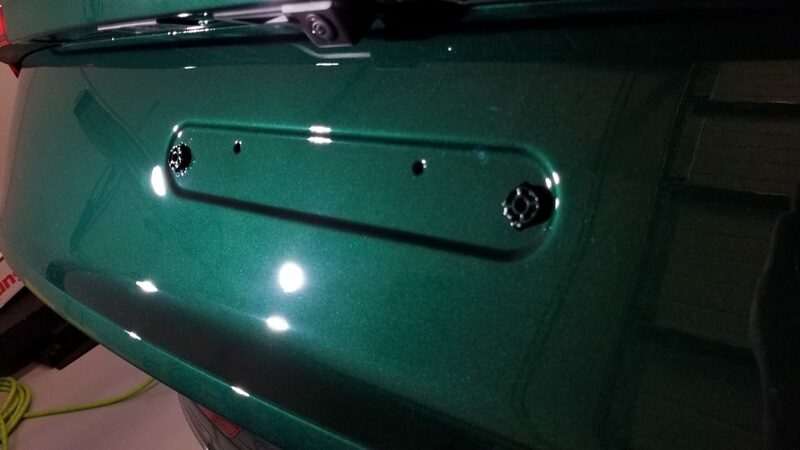 The SUV was properly decontaminated, using Iron X to remove all iron particles from the paint. 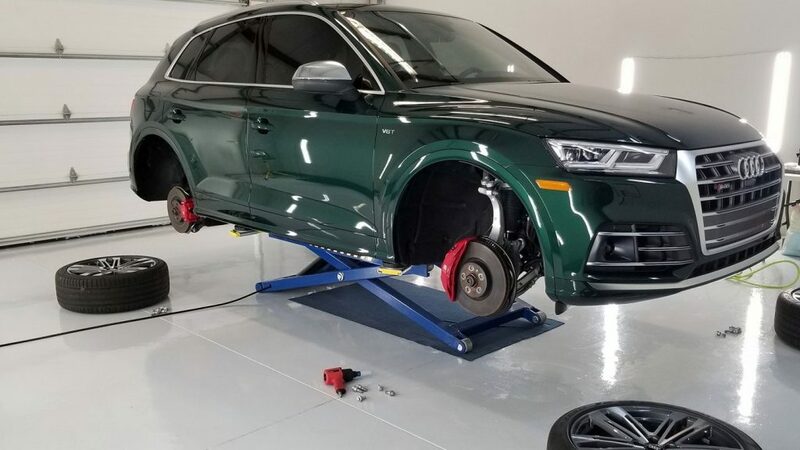 The wheels were removed after the wash process, cleaned and stripped of all oils in preparation for the ceramic coating. We did a New Car Prep to remove some light scratches and water marks. The calipers were also cleaned, polished and prepped for the coating application. This vehicle in particular was a full body PPF wrap with a combination of pre-cut kits and bulk roll (custom cut) film. The hood was a bulk piece of film and we wrapped the edges to create a completely seamless install. 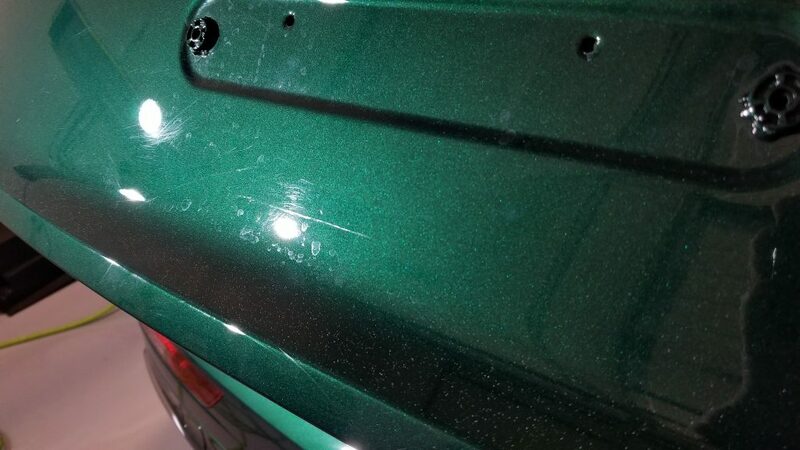 Before the correction, we removed all of the factory badges to ensure there would be no seams on the fenders or rear hatch. We wrapped the door edges as well. 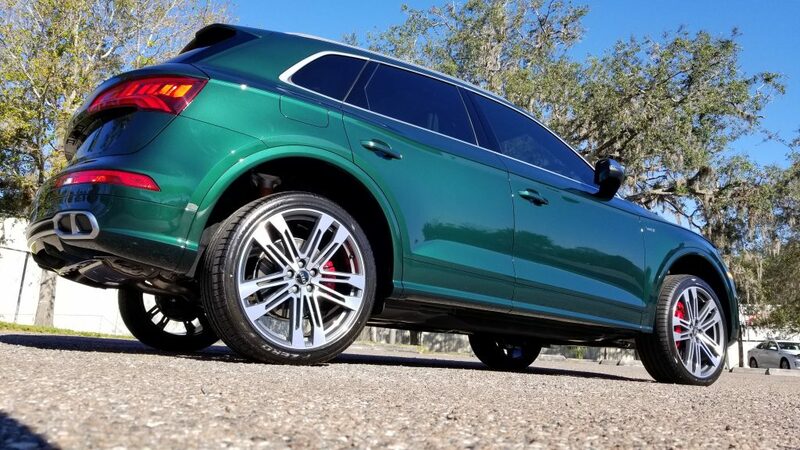 We used SunTek Ultra clear paint protection film. 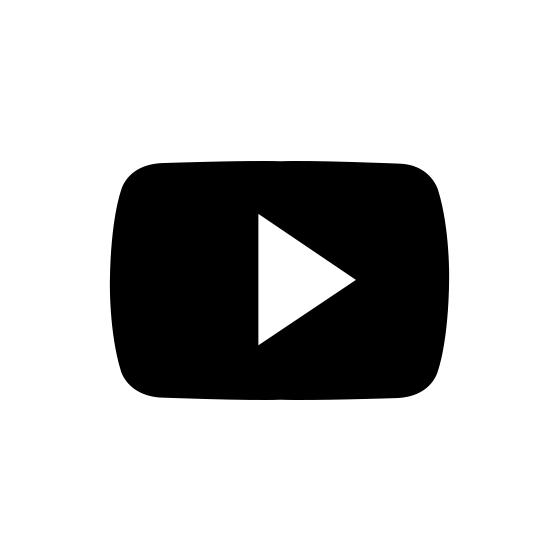 The film includes a 10-year limited warranty through the manufacturer. 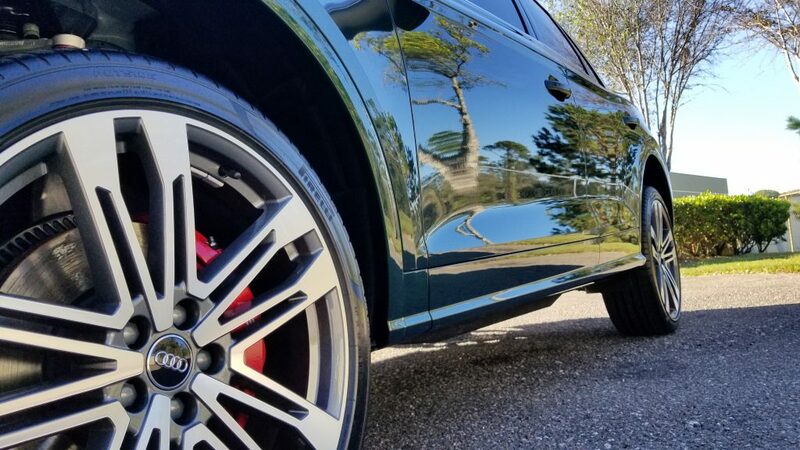 The wheels and calipers were coated with C.Quartz Finest Reserve ceramic coating. 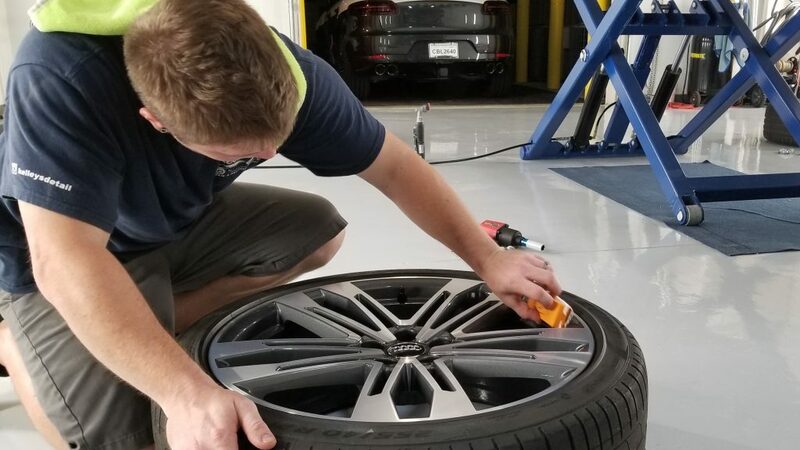 The coating will protect the wheels and calipers long term with durability against brake dust and other environmental particles. It will also provide ease of maintenance during washes. 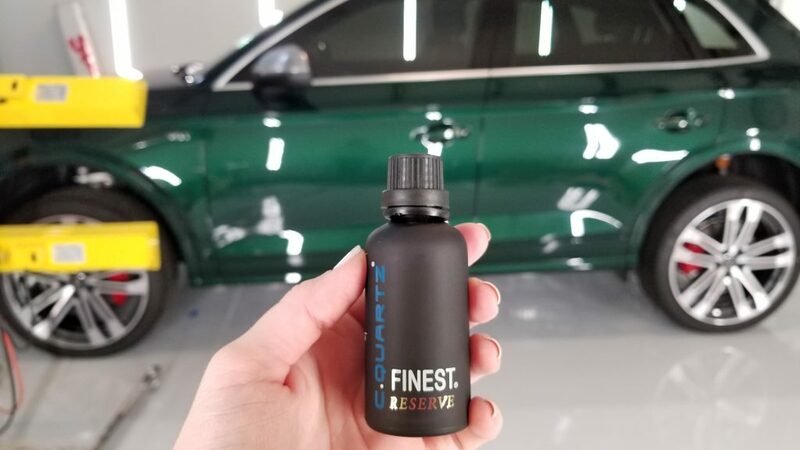 The entire car was coated with two coats of Finest Reserve. 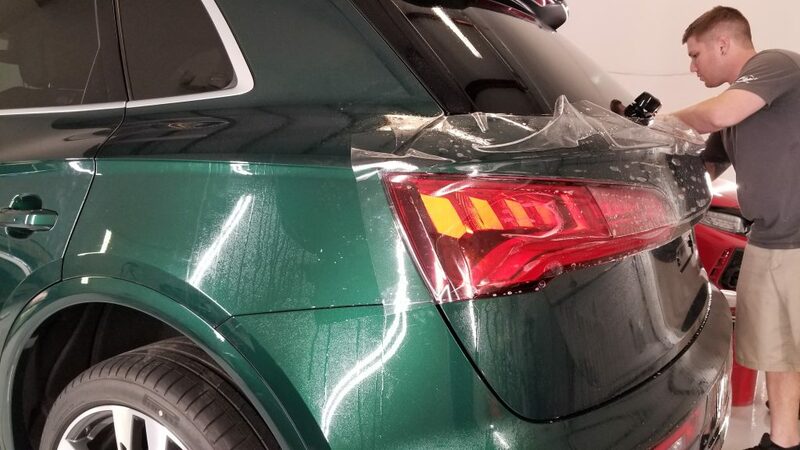 We heat cured the paint to 140 degrees with infrared cure lamps. This process speeds the curing time and ensures long term durability. This client wanted the interior fully protected as well. The carpet and mats were coated with CQuartz Fabric. The center console and dash carbon fiber was lightly polished. Then, it was coated with CQuartz Finest Reserve. The doors, dash, center console and seats were treated with CQuartz Leather & Vinyl.